The president paid a visit to the Sekretariat Dunia Melayu Dunia Islam in Melaka. In the meeting with the CEO, Tuan Haji Ameer, discussed many issues on possible collaboration between Melayu UK and SDMDI. The president attended the Annual Rasool Mowlood in London today. 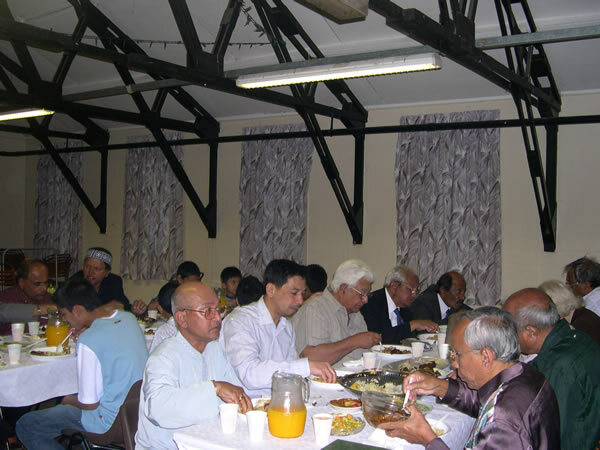 The Sri Lanka Malays in the UK have been a well organised community for many years and are mainly concentrated in London. The Malays who settled in Sri Lanka are now known as Sri Lanka Malays. Likewise, the Malays who settle in the UK will eventually be known as the UK Malays or Melayu UK... in fact they should start calling themselves Melayu UK. 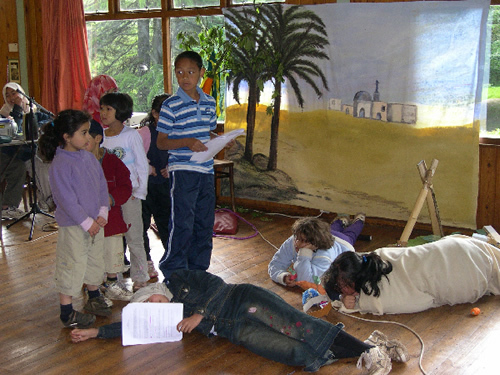 The Perhimpunan Keluarga 2004 held at Kibblestone Scout Camp, Oulton, Staffordshire from 29 - 31 May 2004 has been a success. Thanks to everyone who have helped in the planning and running of the event. The president visited The Old Rectory Residential Home For The Elderly in Derbyshire on Tuesday 17 March. The business is owned by our members, Allen and Sherryn Heath who bought the business about one and a half years ago. 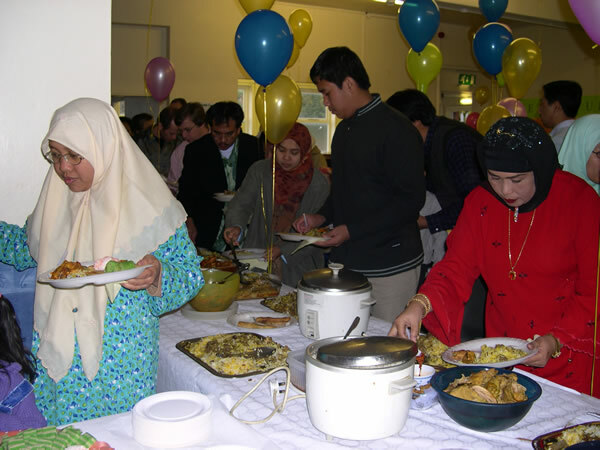 Melayu UK celebrated Hari Raya in Walsall, West Midlands on Sunday 30th November 2003. Analysis of the feedback forms received showed that members overwhelmingly request that the association continue to host Hari Raya Party every year. First and foremost I would like to thank you for coming to this party. To you all I wish Selamat Hari Raya Maaf Zahir dan Batin. This is a great opportunity for us to come together, to meet each other. I will say that the many of us here have never been to our events before, and have never met each other before. This is because the society is still very new and we have only managed to organise one national event i.e. the Perhimpunan Keluarga at Kibblestone Scout Camp in Staffordshire. The event was a success, and that has prompted us to organise more national events for our members. Melayu UK organised its first Perhimpunan Keluarga at Kibblestone Scout Camp at Stone in Staffordshire from 18 - 20th April 2003. The event was officiated by TYT Dato' Salim Hashim, the Malaysian High Commissioner. Haliza Hashim of TV3 Msia in London conducted a mock Aidil Fitri celebration at our President's house and interviewed some 'old-timer' members from Manchester, Birmingham, Milton Keynes and Oxford. Edited footage will be aired in Buletin Utama on the raya day. The hari raya gathering, hosted by the President, Hamidi Abdul Rahman at his residence in Bicester, Oxfordshire was attended by about 80 Malaysians from various regions including Tuan Yang Terutama Dato' Haji Salim Hashim; from Stoke-on-Trent in the north down to London in the south. Pesuruhjaya Tinggi Malaysia ke United Kingdom, Tuan Yang Terutama Dato' Haji Salim Hashim hari ini mengumumkan penubuhan Persatuan Masyarakat Melayu United Kingdom. Pengumuman itu telah dibuat oleh Tuan Yang Terutama selaku penaung persatuan di kediaman beliau di London. Objektif utama persatuan ini ialah untuk menjaga kebajikan masyarakat Melayu yang menetap di United Kingdom. Selain dari itu ia juga akan memainkan peranan sebagai satu saluran untuk mengeratkan hubungan di bidang bahasa, kebudayaan, agama dan perdagangan.